Jones keeps evolving and showing depth as a fighter. He came out a little tight against Texeira but seemed to settle down after some very important advice that was yelled his way by his corner. "Stay focused…have fun out there! ", they shouted. Simple words of advice but advice that Jones truly embraced on Saturday night. It has become very clear that when Jones is having fun in the octagon, it’s never "fun" for his opponents. Although I definitely had Jones winning the 1st round, he really took over in the 2nd. Let’s be honest. With the exception of his fight with Gustafsson, Jones has made fighting look easy. The light heavyweight division was considered to be one of the most competitive in the UFC. I believe it still is but to me, Jones is just so much better than everyone else. 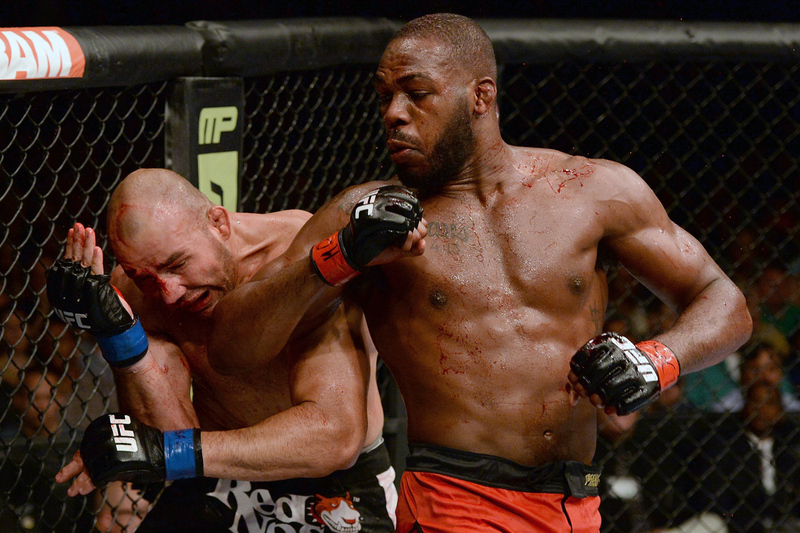 We are witnessing greatness and with every performance Jones is showing more layers to his already potent MMA arsenal. As much as we are wowed by Bones when we watch him compete in the octagon, his opponents seem to be wowed by him when they compete against him. Jones has an insane offense and uses it incredibly well. He’s too effective when you allow him to move forward and lead the dance. While Bones is showing definite improvements with his counter fighting, it’s his offensive output that is most impressive. As expected, we have that epic rematch heading our way with Jones and Gustafsson. As I see it, "The Mauler" is the only man with the skills and style to beat the champion Jon Jones. The first fight between those two was the greatest fight in UFC history. I believe that confidence can be contagious if you are around it enough and since I’m still feeling that high from Jones’ performance from Saturday night, I will say that the rematch will be as good if not better than the first one. You rarely see Jones doubt himself when he competes. Even against Gustafsson when he was bruised and bloodied, he repeatedly threw risky spinning elbows and heavy high kicks until he was able to badly hurt the dangerous Swede.